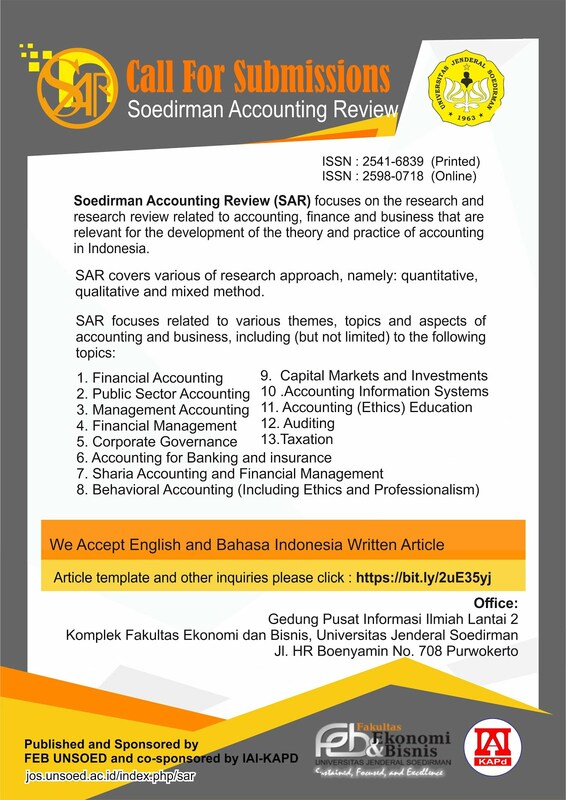 SAR is a national journal published by Faculty of Economics and Business Universitas Jenderal Soedirman. SAR have Print ISSN : 2541-6839 and Electronic ISSN : 2598-0718. SAR published twice a year, on June and December, there will be 6 articles in every edition or 12 articles annually.